We have assembled a team of professionals specializing in a variety of financial solutions. We work with many financial institutions to assist every customer with their unique credit needs. Don’t be intimidated by the auto financing process. 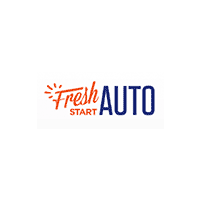 The auto loan experts at Fresh Start Auto will do the work for you to ensure you get the lowest possible rate. We will work with area and national lenders to provide you with plenty of options, from low rates to short terms. Come to Fresh Start Auto for your greater Detroit car loan and you won’t have to go from bank to bank looking for the best rate. We’ll do the work for you! For a quick response, you can apply for credit online. It only takes a moment to complete our secure application. We hope to have the opportunity to meet you soon at our greater Detroit, Michigan car dealership. Our helpful staff looks forward to assisting you!